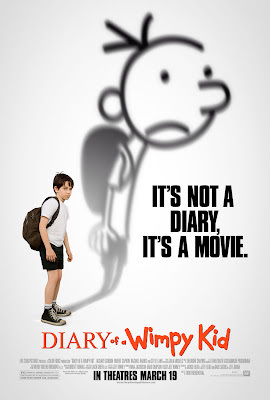 Mishaps and Adventures: Behind the Scenes at the DIARY OF A WIMPY KID Movie Premiere! 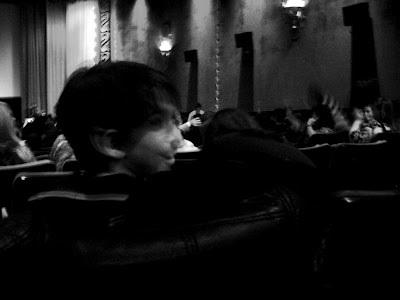 Behind the Scenes at the DIARY OF A WIMPY KID Movie Premiere! 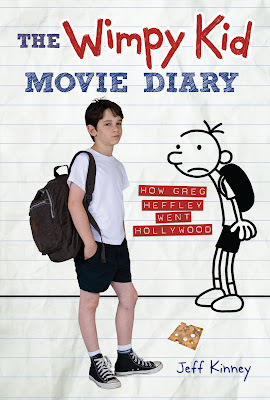 Yesterday over national press and 800 New York City area children were invited by Twentieth Century Fox and The National Education Association to the Ziegfeld Theatre in New York for an advance screening of the Diary of a Wimpy Kid movie, in theaters Friday, March 19. The theater was filled with laughter—and fear of the dreaded cheese touch—as Jeff Kinney, Zachary Gordon, who plays Greg, Robert Capron, who plays Rowley, and Katherine Patterson, beloved author of Bridge to Terebithia and the 2nd National Ambassador of Young People’s Literature conversed during a Q&A with the excited crowd. Zach and Robert a.k.a. Greg and Rowley just arrive. 800 kids line up to get in. Hi, Chad- I loved your review and truly enjoyed the pictures! 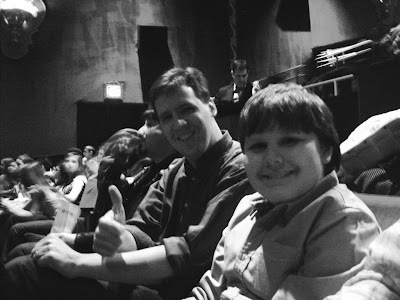 The Wimpy Kids premiere was an awesome event. I wanted to mention, however, that over 500 of the kids that were at the premiere yesterday were students from the Auten Road Intermediate School in Hillsborough, NJ. Their school was selected to attend by the New Jersey Education Association, an affiliate of NEA (a co-sponsor of the event.) As you can see by their photos, the kids all had a terrific time, and will just love to read your blog, I am sure! Fantastic CHAD! My favorite are the kids reporters :) Congratulations!!! Thanks so much for coming to this terrific event! The National Education Association was proud to work with Abrams and Fox and the School Library Journal to arrange this red carpet experience for 900 kids and their teachers. 400 students came from so many different neighborhoods of the city, PS 2, PS 28, PS 92, PS 115, PS124, MS 344, and UFT Secondary Charter School. These students will also be thrilled to see these photos and videos from an unforgettable experience. As NEA Vice President Lily Eskelsen said, this was a terrific moment, watching the vision and imagination of an author transformed into movie magic.